So now Lea Salonga has haters just because of the way she behaved in The Voice of the Philippines? This was one of the items on tonight’s primetime edition of TV Patrol. Hyper, was how somebody interviewed described her. On the verge of being OA. But seriously... Hyper? I thought she was just being enthusiastic. OA? Please!!! Sarah G did a Laida Magtalas onstage. The only thing that I found extraordinary about the way Salonga behaved during the show’s opening weekend was her use of the word libog to describe somebody’s voice. The only thing that I, perhaps, did not like so much about the show so far was that every sad story had to be told, like it had anything to do with the concept of the show. Once in a while is good. But everyone? I was momentarily shocked; but then quickly saw the humour of the situation. I had heard the word used in the context of singing before; but here was the erstwhile model of propriety using the word like a kanto girl. Then suddenly I realized, Lea Salonga, international singing star who rubs elbows with the who’s who of the industry letting the masses know how down-to-earth she really is. I mean, that she knows libog. My only concern is that in her enthusiasm, she quickly gets her quota of singers. And then what does she do, ogle apl.de.ap? In contrast, Sarah G has been extremely choosy; and naturally, my concern for her is that she’s missing the point altogether. Her being coach, after all, is to help iron out the imperfections. There were a few that I thought she could have gone for but instead opted to pass up. And for her choosiness, she got a rock singer whose voice hurt my ears. Maybe she can coach him to sing. I’m being mean but also honest. By and large, I think the personalities of the judges balance each other out. Bamboo is the pensive one who one suspects thinks he has to pay to speak. 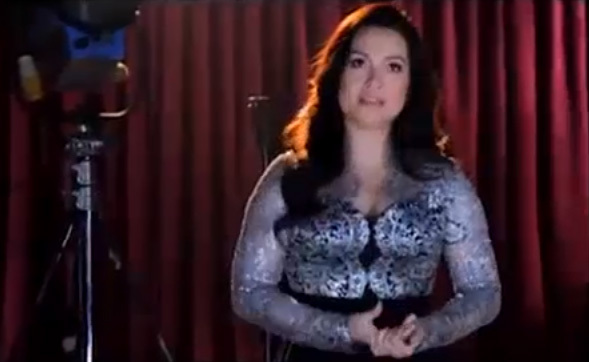 Salonga is, as mentioned, the gregarious one who giggles like a little girl everytime a singer chooses her. Sarah G is the polite one who uses pô so often she will make a senator one day. And apl.de.ap is sometimes pensive and sometimes chatty and loves to tell his sob story every now and again. 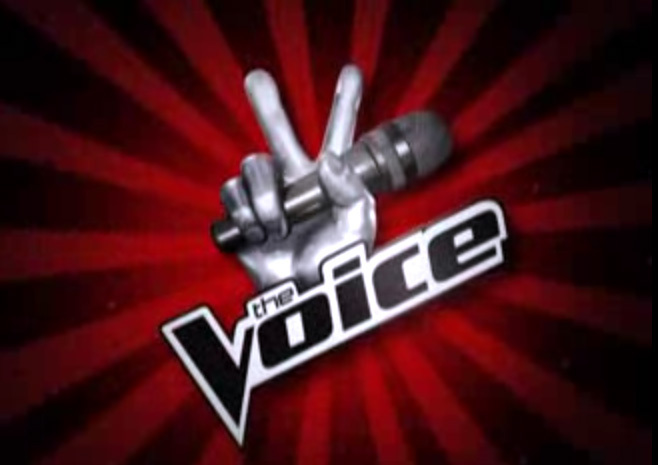 I claim to be no expert on the American version of the Voice – which I only watch sporadically – but don’t think I have ever watched it with the same enjoyment as I did the Philippine version’s first two shows over the weekend. This early, so many moments have already accumulated. Like, this balut vendor from the south whose voice failed to make any of the judges turn but who sportingly distributed balut to all the judges before leaving the stage. My word, but the way apl.de.ap ate his balut forever shamed me, as I can only eat the duck embryo in the dark and only after motivating myself. Ditto Sarah G. She ate hers like a magbabarek. Then what about this belt vendor who was so nervous her mouth spouted just about anything she could think of. Which was mostly funny. She looked a natural comedienne. It’s not so much that Sampaguita better watch out. It’s that Pokwang had better do so. There was also this time when Sarah G turned around and saw the singer nobody turned around for had movie star looks. The look on her face was priceless, like she was mentally kicking herself for not having turned around. Pogî started well but there were moments in the song na sumayad. The biggest moment for me was when apl.de.ap spoke to a kabalen in what else but Kapampangan. While we Tagalogs struggled to keep up with the DVD-like subtitles that the producers thoughtfully had inserted. If Salonga won the masses over with her libog – I mean, her use of the word – apl.de.ap did with his me keni conversation. I thought that was sweet. Still, to be perfectly honest, I can’t wait for the weekend. I am officially declaring myself a fan of The Voice of the Philippines. I hardly watched American Idol’s last season because Nicki Minaj for some reason annoyed me. Glad I have found myself a replacement.